Derelict land welcomes tourists to Coleford ? No changes? New developments in Coleford Town Centre as the tourism season approaches. Does this offer an opportunity to engage in a more positive public debate about the use of this prominent piece of land? 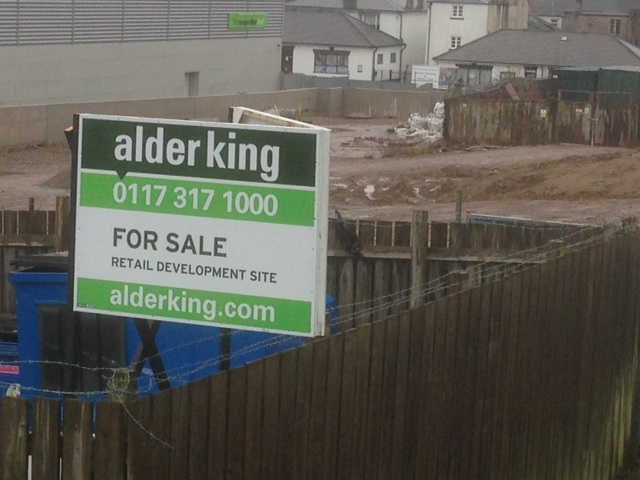 The For Sale sign is the first new move for several months since Tesco announced they were not going ahead with their plans because the developer had withdrawn.